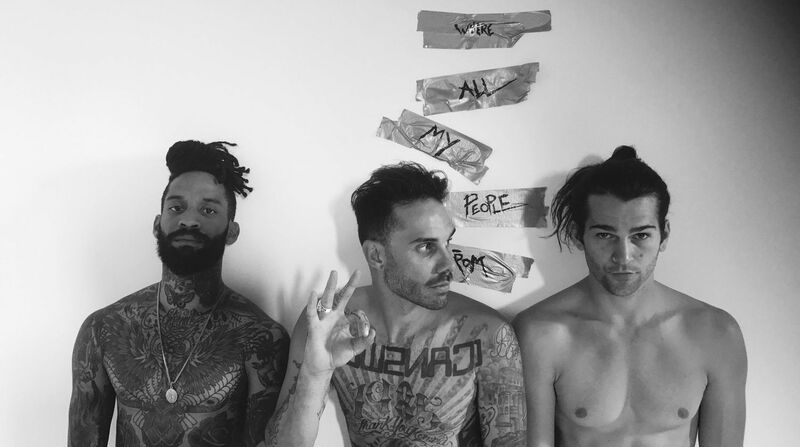 Roadrunner Records have signed The Fever 333. The press release can be found below. MARCH 23, 2018 – Roadrunner Records has announced its signing of THE FEVER 333. The Los Angeles-based trio’s debut EP, MADE AN AMERICA, released via Roadrunner Records/333 Wreckords Crew, is available today at all digital music retailers and streaming services with accompanying merchandise available via the band’s webstore. Comprised of vocalist Jason Aalon Butler [ex-letlive. ], drummer Aric Improta [Night Verses], and guitarist Stephen Harrison [ex-The Chariot], THE FEVER 333 are explicitly devoted to a revolutionary cause, delivering aggressive advocacy through a molotov cocktail of punk, hip-hop, and thrash. MADE AN AMERICA exhibits THE FEVER 333’s revolutionary activism, with lead track “Walking In My Shoes” serving as the banner for THE FEVER 333’s focus on community, charity, and change.